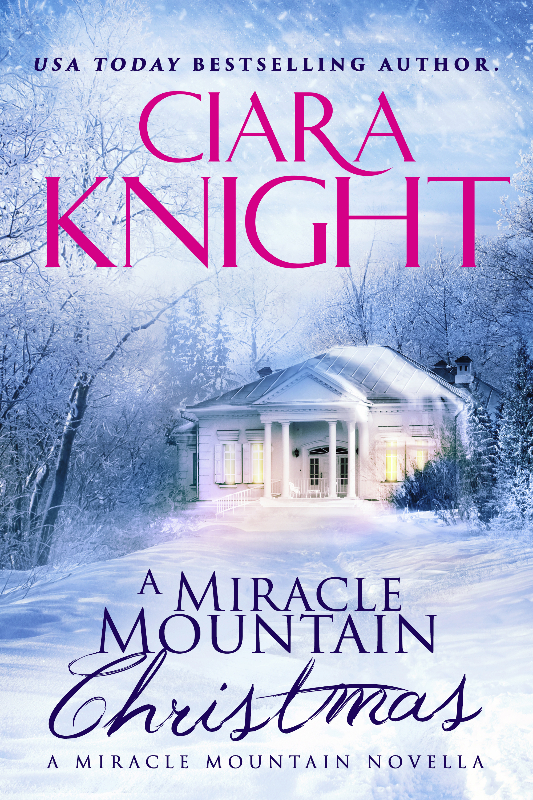 Flecks of white snow fluttered around the rolling hills, promising a quiet, beautiful Christmas on Miracle Mountain. 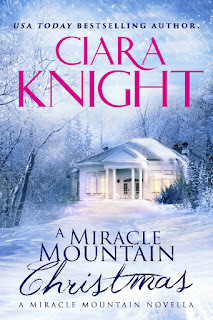 Savannah Blake stood at the top of the front steps, closed her eyes, and leaned off the porch of the massive old retirement home turned Miracle Mountain Inn. One leg dangled and one hand gripped a column as she waited for the first drops of snow to reach her skin. She loved the invigorating feel of cold on her face after a morning of hammering, sawing, and arguing with the GGs over all the renovation decisions. Who knew three women could be so difficult? Especially one’s that call themselves Gaggle Girls. One of the porch boards creaked then snapped. Her hand slid off the crunchy, peeling white paint. 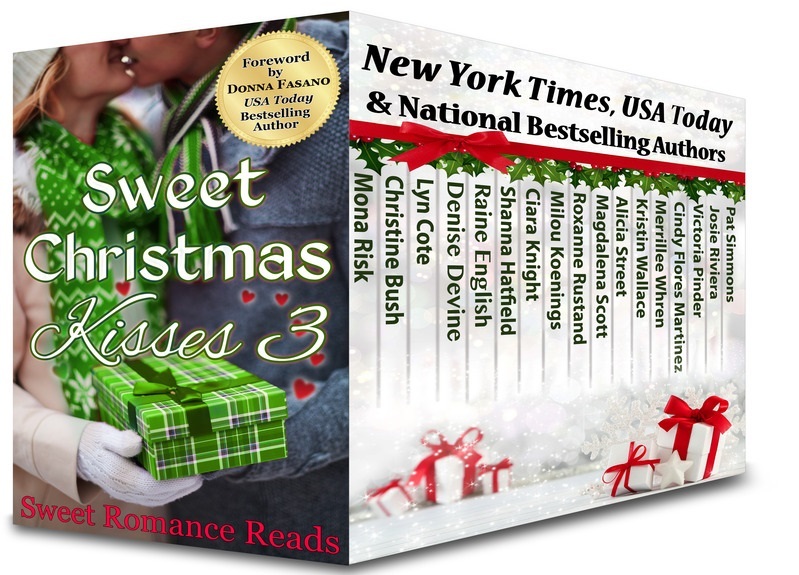 Her feet caught the top step, and she tumbled down to the snow-dusted grassy bed below. “Ow. Ugh.” She rolled to her side and pressed her hand to the damp soil to hoist herself up. Before she could climb to her feet, the front door opened and a rug smacked the railing over her head, sending dust, dirt, and old people smell all over her. “Hey, wait. 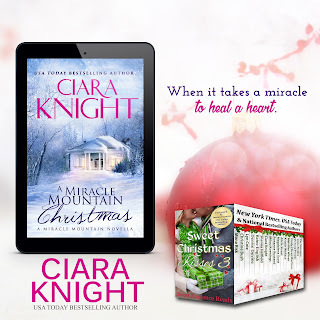 Stop that!” She coughed and waved the air in front of her free of particles then wiped her eyes with her soiled hand, only to cause more grime to smear across her face. “Whatcha doin’ down there? We ain’t payin’ you to sleep on the front lawn. Besides, you’re gonna track more dirt inside, and I’m cleanin’ the floors.” Cookie sidestepped and peered at the broken porch board with a loud harrumph. Savannah wanted to argue that cleaning the floors in a construction zone, with bits of plaster, wood splinters, nails, and all sorts of dirty hazards about, was pointless. Yet, one look at the Cookie glare, with its trademark pursed lips and hunched brow, she snapped her mouth shut. Cookie huffed and pushed her lips out like a babbling fish. If fish babbled. “No one’s as perfect as Sunny,” Cookie declared. A hint of agitation over a fellow GG, and best friend, appeared at the mouth lines that deepened when she tensed. “Don’t matter. Now, you get cleaned up.” She swished her lips one more time for added emphasis. “I gotta cake baking, and I might give ya a piece if you’re quick about it.” Then she staccato-stomped through the front door. “Don’t you remember the GG incident of 2010?” Herbie whispered, like a spy in the heart of enemy territory. Sunny walked around the corner of the house in her oversized yellow hat and bright pink galoshes. “Hiya, you two. How’s your mornin’?” Her bright smile always seemed to match her manners. Herbie shifted nervously between feet, and Savannah wanted to backhand him for giving them away. “No, we weren’t talkin’ ’bout that. No, ma’am.” Herbie picked up the broken wood plank, keeping his gaze to the ground. “No.” Sunny gasped in a delicate little breath. “You weren’t. Not that!” She dabbed at her brow with the back of her gloved hand. “Savannah, you best not say it aloud.” She leaned closer and cupped her hand to the side of her mouth. “You wouldn’t want to start Birdie on her diatribe again, about how she saved goats from extinction.” Her voice was faint and southern and full of charm as always despite her concern. The woman could tell anyone off and they wouldn’t realize it for days. Clutching the broken wood planks to his chest, Herbie backed away to make his great escape. Sunny heaved a big breath. “Oh, darlin’! Why you so dirty? And your hair? I mean, don’t you brush it, sweetie? Especially when…” Her voice faded before she cleared her throat and set her gardening tools down on the ground. Then removing her gloves one at a time, she pressed them neatly onto the edge of the front porch. Herbie stopped in his tracks. “Told ya the GGs were up to something. It’s the GG kidnapping trial of 2006 all over again.” Like a weasel scurrying into the nearest hole, he slinked away toward the barn, leaving Savannah to face whatever these women had in store. Sunny pirouetted in her galoshes with poise, not an easy task in damp grass, then hurried back around the side of the house. The older woman bounced like a jackrabbit through the side yard and raced up the back steps. Savannah paused at the edge of the house. The rush of river water at the bottom of the ravine made her stomach churn. It sounded full and wild from the recent rains. The site of the bridge two hundred yards away that led to the trails her sister took that day stoked her anxiety. She never went in the backyard. Never. Not in the last seven years. Not since the GGs bought the building six months ago. Not since she’d lost her sister. Not since her boyfriend had been accused of murder. Not since her entire life had been churned and swirled and shot down the rapids of loss. She forced her attention to the house, stomped through the construction zone and gooey mud on the grassless backyard and pushed the back door open. “You need to tell me before I end up on the news for concealing a dead body inside a wall,” Savannah called. Sunny waved a dismissive hand and mumbled something, but the circular saw grinding upstairs drowned out her delicate voice. Then she rounded the corner and headed for the front door. Birdie waved her hands, her chunky auburn and blonde highlights fluttering above her head in short wisps. Birdie shrugged. “GGs are innocent. I swear. We haven’t done anything but focus on renovating this place.” She twirled, and her oversized, bright pink kimono puffed out like gaudy angel wings. Footsteps sounded out front then Herbie stepped inside. “Ms. Savannah. I ain’t got nothin’ to do with this. I promise ya that.” His tone was filled with fear. Before Savannah could manage another word, another breath, Mason Harrington entered the atrium. Different hair, different build, different swagger, but the same eyes, the same stellar looks from years past. Savannah clutched the corner of the registration desk, managing to remain upright. Dizziness swirled her in a never-ending marry-go-round. She forced air into her lungs, contaminated as it was with the fumes of wood stain, sawdust, and regrets. Wow, can't wait to read this one! Looks like a great read, Ciara!